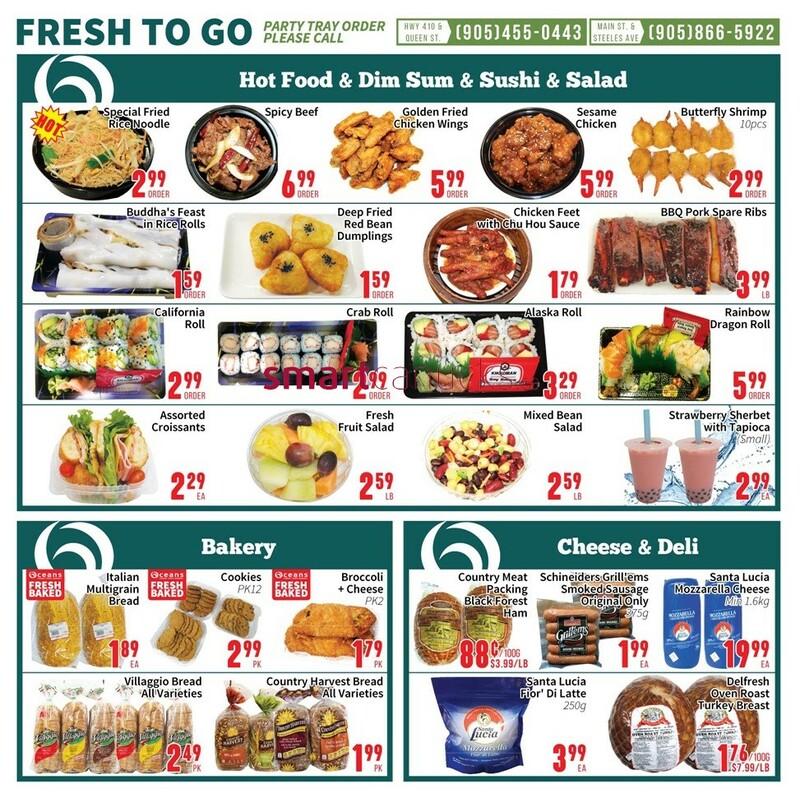 Oceans fresh food market brampton flyer Happy mother's day Grace sweetend condensed whitener 297ml 99 cent ea, Tropical Grove Apple / Orangecocktail $1.99, Viet Choice rice vermicelli $99 cent ea, Sealtesr 2% milk $2.99 bag, Frozen Tilapia Fish 6.99 box, Patty palace Jamaican Style Patty $2.99 ea, Roma Tomato 79 cent lb and more on cover Oceans flyer. 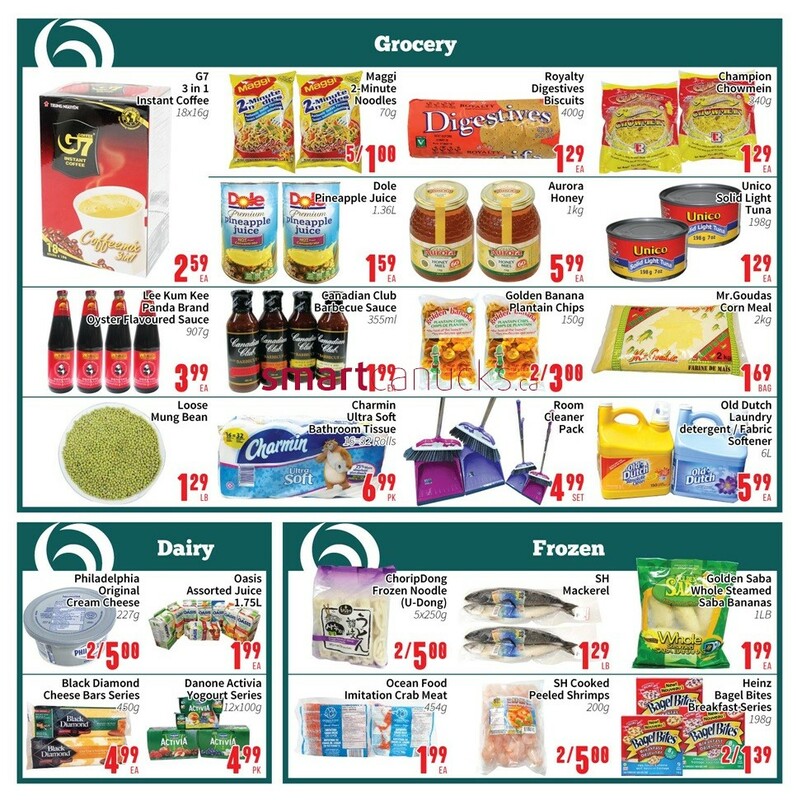 For more detail products like Bakery, Cheese & Deli, Grocery, Dairy, Frozen, Produce, Meat & Seafood. 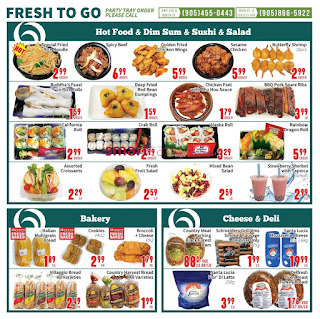 Just a simple click on the image bellow for details Oceans Fresh Food Market Flyer May 12 to 18, 2017 - Brampton.